We are almost on the corner of Gordon and Jetty Rd. SKIN THINGS CAN HELP YOU! 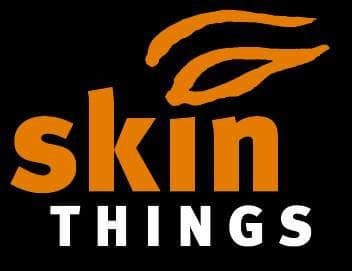 Skin Things is an Adelaide based, natural skin care manufacturer with their own beauty salon in Glenelg, South Australia. With over 40 different products, Skin Things provide paraben free and sulphate free skin care, body and hair care and baby products. Tried hydra dermabrasion today..was apprehensive but fears unfounded..old skin feels light and fresh..staff were lovely salon clean and pleasant..great experience.. It always smells so good in this shop and I am always greeted with a smile. I love the fact that the products are made locally and the staff are so caring. I feel relaxed and comfortable every visit, even if it is only for waxing! But I will be indulging in one of their special offers soon. Skin Things is just the most relaxing environment! All of the products are as natural as possible and very gentle and nourishing for the skin. The therapists are all very beautiful souls and really take the time and effort to ensure that your treatment is as relaxing as can be. I come here often for treatments and honestly wouldn't go anywhere else. I wanted to get my makeup done last week for my birthday and Im so glad this place popped up on my google search! Watching/hearing the staff serve people in and out while I was getting my make up done, they were very friendly and professional. The lady who did my make up was great too. She knew what she was doing, gave me options, gave me ideas, attended to me excellently. And the outcome was great! The Makeup stuck well and I had nice compliments too. They gave me a welcome pack because Id never been there before so I intend to use the voucher when I get the chance to! Pity I live down north though otherwise I would probably make this place a regular pamper place of mine. Would definitely recommend. Oh and forgot to mention they only charge $50 for make up application! Thats a bargain these days! Thanks Skin Things!